Renewables, it’s time to lead. By 2030. Fossil fuel enthusiasts need to wrap up warmly by 2030. Because major investments in new power supply will be handed over from coal and gas to renewables, worldwide. They will account for up to 70 percent, according to calculations by Bloomberg New Energy Finance. Where do these numbers come from? Well, Bloomberg analysts reviewed gas prices, carbon prices, counted in the dwindling price of green energy technology, and overall energy demand. The result is that solar and wind are going to beat fossil fuels like coal and natural gas by 2030. Annual installations of new power sources, in gigawatts; over time. „The likeliest scenario implies a jump of 230 percent,“ they say, compared to 2012. In total numbers: $630bn will be invested per year. According to Bloomberg New Energy Finance wind and solar will take up the largest shares of new power capacity, accounting for 30% and 24% respectively. 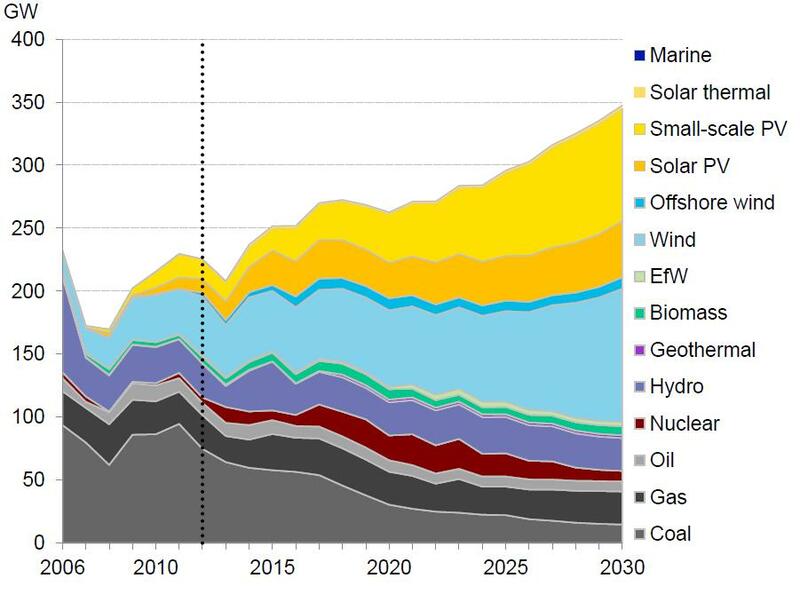 But, of course, the good news comes with a flipside: Fossil fuels historically are mounted to the power markets that even this projected massive growth is not enough to change completely towards sustainability. By 2030, non-renewable sources will still account for half of the world’s total power supply, according to the analysis. 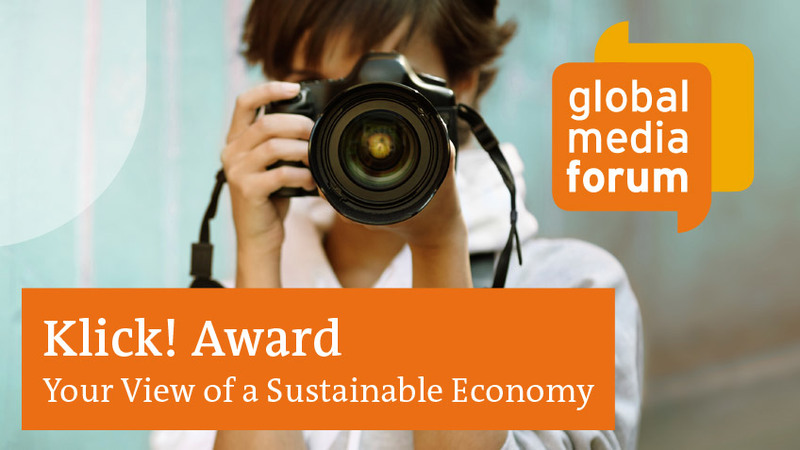 Sustainable Economy in focus of this year’s DW photo competition KLICK! From 17-19 June, this year’s Deutsche Welle Global Media Forum in Bonn will spotlight “The Future of Growth – Economic Values and the Media”. A worldwide photo competition will honour outstanding images that capture related themes. This year’s photo competition KLICK! 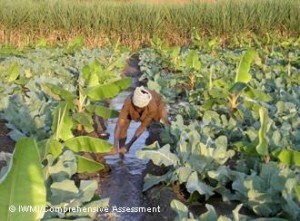 is called “Your view of a Sustainable Economy”. The deadline for submissions is April 10. Online voting begins on April 17. Of the ten finalists chosen by the online voting, three winners will be selected by the participants of this year’s Deutsche Welle Global Media Forum. First prize is an iPod Nano (8 GB). The runner-up will receive an iPod-Shuffle (2 GB), and the third prize is a USB flash drive. Entries can be uploaded to the website http://www.dw-gmf.de/klick or submitted by email to klick@dw.de. Deutsche Welle will publish the entries online as part of a gallery and an interactive map at http://www.dw-gmf.de/klick. 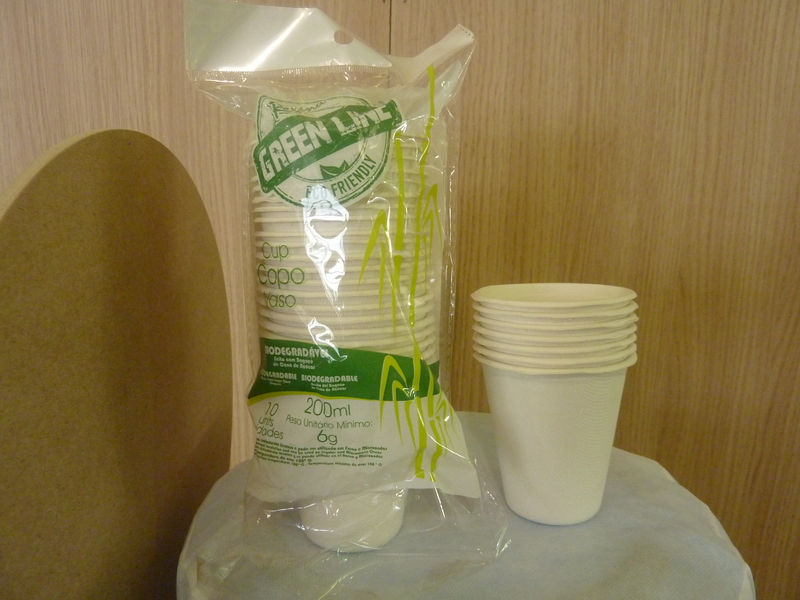 Cups made from corn or electricity from sugar cane: Rio is eager these days to show that it can be environmentally friendly. The city is hosting the United Nations conference on Sustainable Development – better known as Rio+20. While the official part is only starting on Wednesday (June 20) the congress venue is already open for preparatory meetings and non-governmental events. The Brazilian government is trying to make a point, it seems, of just how much it values the use of renewable resources such as corn or sugarcane. Indeed, Brazil is well known as a biofuel-country: The standard blend cars run on consists of up to 25 percent of biofuel for example. Even the Brazilian airline that flew us in bragged about its green commitment in the inflight magazine. The carrier plans to operate a domestic flight on biofuel especially for Rio+20. Whilst renewable resources may emit less CO2 than fossil fuels, depending on how they are processed and transported, they can of course also create a lot of problems – monocultures, conflict between food and fuel production or soil degradation to name just a few. 2012 has arrived – the UN Year of Sustainable Energy for All. It’s an initiative launched by the United Nations to bring attention to developing new energy sources. We know by now that sustainable power is an environmentally-friendly solution to solving our energy needs, but UN Secretary General Ban Ki-moon is also using this directive in a special way: developing sustainable energy to fight poverty. Some 1.4 billion people across the world do not have access to electricity, and almost 2.5 billion use biomass for cooking and heating. So finding sustainable energy sources can provide solutions with serious impact. Energy is essential to daily life and clean power can generate income. The UN initiative has set out to reach 3 goals by the year 2030: to ensure universal access to modern energy, double the rate of improvement on energy efficiency and most importantly, double the share of renewable power across the globe. All year, you can take part in events and activities to support the initiative and bring awareness to the importance of investing in sustainable energy – for the present and the future. By the year 2050, there’s expected to be 9 billion people living on our planet. Can we feed all those people without destroying the earth? That’s the question a new report is trying to answer. A team of researchers from the U.S., Canada, Sweden and Germany worked together on a major article that will be published in Nature journal in a few days, and their conclusion is this: the only way forward is to create a global plan for sustainable agriculture. What is that plan? According to the researchers, it will include key steps like halting farmland expansion into our tropics, using existing farmland more effectively, changing our diet patterns and cutting down on the food waste we produce. And those steps are crucial to keeping the planet healthy. Farm land and pastures now cover about 40% of our planet and agriculture accounts for a third of all the emissions produced around the globe. If there’s a sustainable solution to the future of farming and producing food, it could mean a major breakthrough for our environment.